Why did I think that Cheshire was going to be easy? I remember attending a conference in Macclesfield years ago, and thinking then that my road trip passed through what looked like, trouty terrain, and the Pennines are close so, too…but trout streams are few in reality. and then Chairman at Bay Malton AC, who confirmed that his Committee supported and endorsed his own enthusiasm for my task and a date was set for us to meet, for his club was one where what I sought might be found. As it happened, we arranged to meet on the day following my success on the Goyt when I ‘netted’ Greater Manchester, so my confidence was high! Our meeting place close by the Bolin, near Manchester Airport, probably was not in Cheshire, so it was on to Congleton, most definitely in it, and to another BMAC beat. but genus thymalus thymalus, which could not count! So where next? 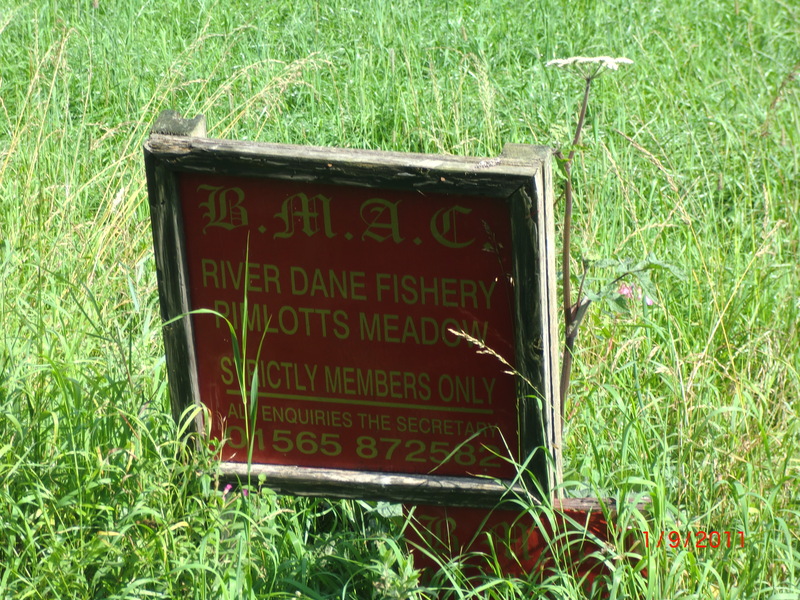 I took another look at the Clubs’ listing I had identified which included Eaton Fly Fishers, Middlewich Anglers, Dunham Massey AC, and the renowned Prince Albert AC, and all responded with helpful advice, but it was the Lymm AC which seemed to offer the best chance of what I sought, and they were taking new members! I joined!! and not a cast was made on that visit, nor was another possible in that year. This year (2013), the early season was cold, very cold and fishing was pointless when Nature still slept. Then, just a couple of weeks ago, the Jet Stream, finally moved North, of the British Isles, from its seemingly permanent residence over Central France. We have now what we have yearned for, for seven years…a Summer! I observe that the trout streams of the south have more ranunculus than I remember. The Wylye is full of it, the Ebble is trickier because of it, and Paul (Jennings) tells me that in his stretch of the Chess it is strangling the fishing! The weed is keeping water levels high, aquifers being totally full, and even early weed cuts are having marginal effect. This is a challenging year. The Peover Eye is a lovely and fascinating name. 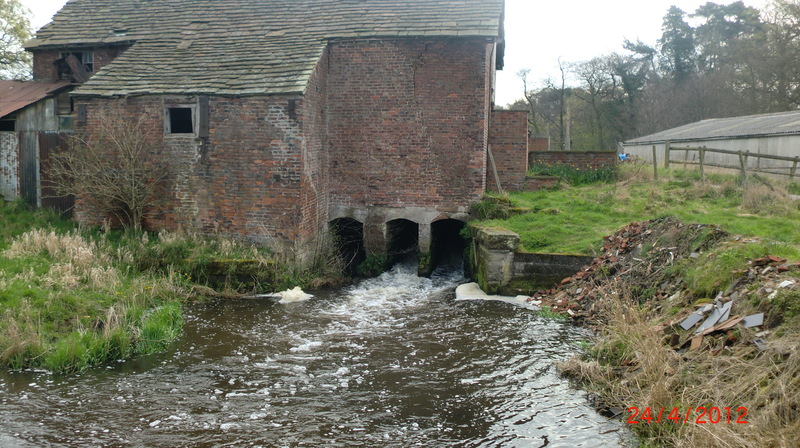 It seems to be the combination of the word Peover, which comes from the Welsh word for ‘dart(ing)’ or ‘sparkling’; and the Anglo Saxon, Eye, meaning small stream. 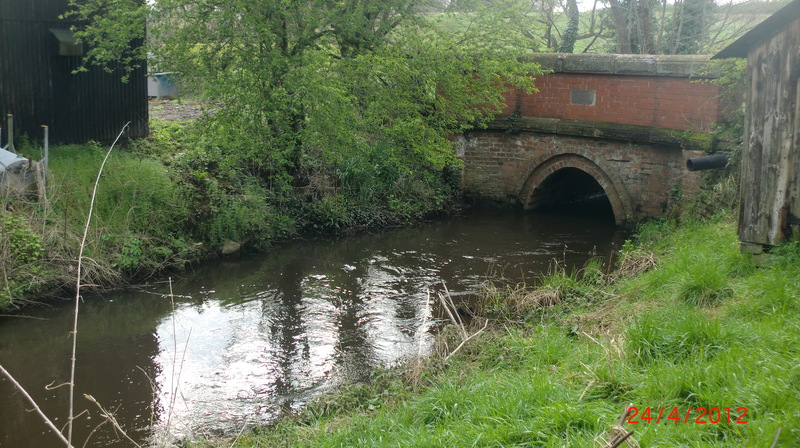 It rises near Siddington and flows for some four miles and joins the Smokers Brook above Lostock Gralam, to form the Wincham Brook. This day, I arrived post Gowy and Dane at one-ish. The sun was high. It was unbelievably hot, but I could not resist a couple of casts. Then off to my hotel to rest up after too many hours driving, from London. Returning to the river at seven in the early evening, I spoke to Sue en route, and suggested that my mission might be coming to an end. Merseyside seems impossible, Bedford, much the same, and Cheshire…well just how many more times should I bother tripping up the M6? I had a look, but did nothing. The waders stayed bagged. The boots delightfully dry. I had already checked out some fishing in a real trout county (Derbyshire) for tomorrow, in scant consolation for the disaster which is Cheshire. Oh well! 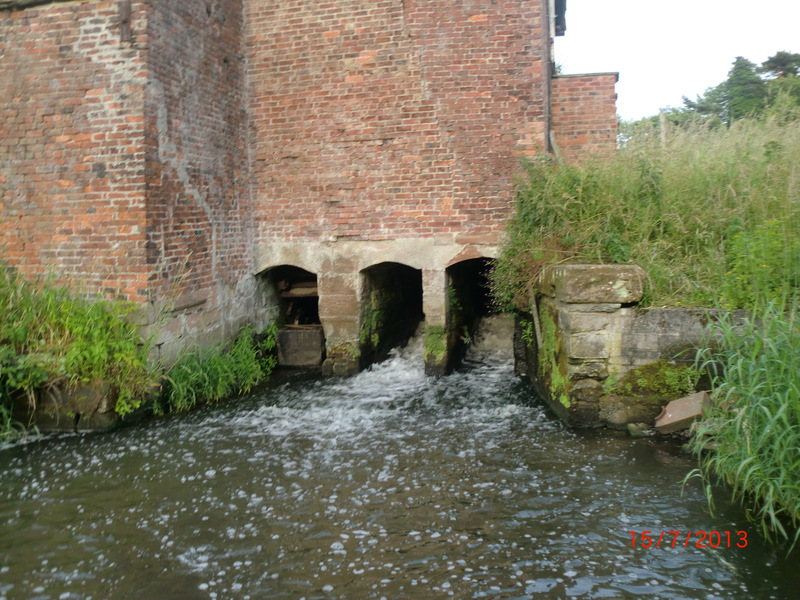 Then I saw what looked like an angler upstream of the disintegrating mill, and walked up to chat to him. “I am looking for trout”, I opened. “This is club water” he responded. “I am a member” I replied. We were connected!! The water above the old mill is stuffed with trout, and a members’ return chit of just a few days prior, revealed five rainbows in a couple of hours in June. My new friend showed me a picture of a handsome rainbow taken by his friend shortly after their arrival just before mine. And he himself, had had a memorable visit with a net full of trout from this slow moving stretch earlier this year. So there are trout here! That he is a coarse fishing specialist made my interest in catching on the fly more intriguing to him. That his pal had a 2-lber minutes before I arrived, was intriguing to me. The high water and early Spring flows may have flushed some fish below the mill, he suggested. My head said that if these were rainbows, then a 7x tipped was a risk, as was a short rod less likely to cope with a warrior rainbow. But I was enthused, and got kitted up, accordingly. Down in the water, my first offering was a brown elk hair caddis #14, below which, NZ style was a #20 bead head nymph. The first cast produced a swirl, but to which I had no idea, but Boy, was I motivated? And then two more splashy swirls to what was hatching, and I was in determined mode. Off came the nymph. Away the feeble tippet. 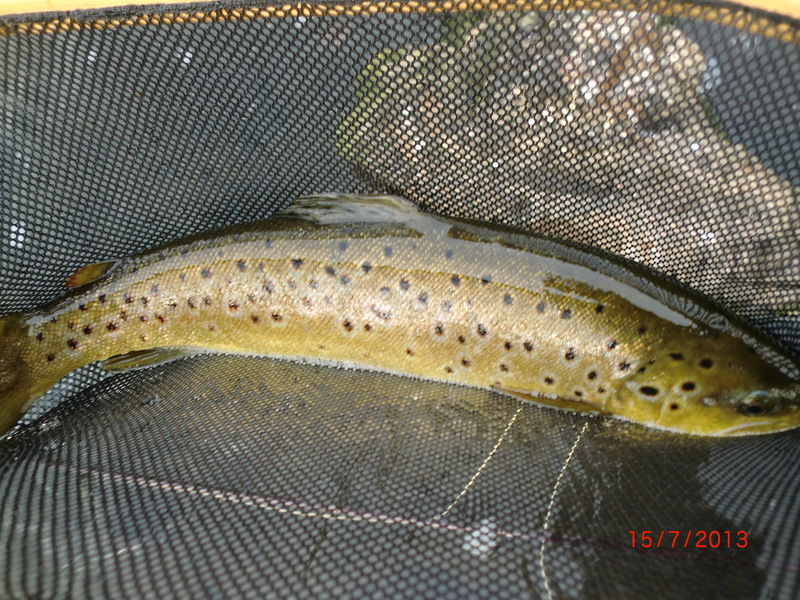 Spotting a solitary May, with a white body and black thorax, in flight, it was on with a bushy caddis….the second cast with this offering delivered me my Cheshire trout, a 2-lb wild brown. A few casts later, a fish, another brown, took a good hard look, and then yet another was mine! I am indebted to Paul, who was fishing and tutoring son, Jack, and to Paul’s pal, Phil, who pulls trout from the Peover Eye, with ease. My kit worked worked for me when it mattered. Their’s did, too, and in spades! Cheers, Guys…have a great season, and let me know if your methods out fish mine below the mill. I suspect they will! Thank you, Lymm AC…mission accomplished. 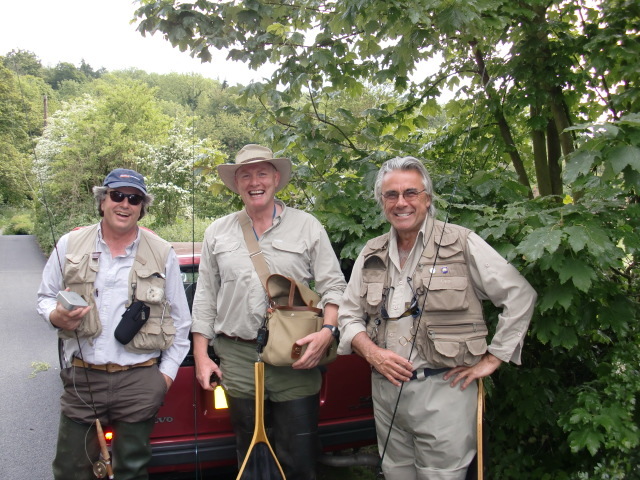 2009 was the year I discovered just how good the trout fishing is in Derbyshire! Rivers are fed through limestone and flow clear as Tanqueray, through the dales, with free flowing and prolific ranunculus, and consequently, enough insect life to support a good head of browns, and in the Wye, wild rainbows, too. July 2009 – the Wye. In the Midlands on business and staying at the Cavendish in Baslow, I arranged through the hotel, to fish the Monsal Dale waters. It rained heavily through lunchtime, but cloudy skies cleared early afternoon, and I met riverkeeper, Stephen Moores, who introduced me to the Cressbrook & Litton Flyfishers’ Club fishing hut, and imparted some useful tips and clues! Free rising fish give any river a special attraction to a dry fly fisher and I had a great afternoon catching on Klinkhamer and Elk Hair caddis patterns. Fly life in Wiltshire’ chalk streams has diminished markedly, in recent years, and I forgot how exciting it is to see beats alive with fish. The waters are varied above the hut with easy wading making most runs accessible for mile or so, although some clambering is necessary to enter where you feel fewer anglers have. Having walked and fished thus far, a herd of frisky cows, and a rather larger bull, were a bit of a put-off for bravery. En route, I was broken by two fish which struggled so much harder than the browns I netted, that I convinced myself they were probably rainbows. I read conflicting data on wild ‘bows in the UK. Either they breed only in the Derbyshire Wye, and the Hertfordshire Chess, or they do so in more counties, but I have found no firm evidence to support the latter, only press conjecture. Two and a half hours was enough, and in any case, the heavens opened again, and heading back to Baslow, I drove to Monsal Head (what a view!) and onward past small villages where the rains drained in flood through lanes which made driving feel like surfing. A pint of good ale, and remarkably the sun came out again, so back to the beat below the hut ! Fishing to dusk, saw even more rising fish and enough eager to take Tups Indispensable and Sherry Spinner, that I felt blessed. I love this Cotton and Walton territory and I want to experience more of it. I am embarrassed to reveal how much the hotel billed me for the day. Suffice it to say, that a call to Stephen, will be cheaper by 75% or so, than for me! The Peacock at Rowsley is a legendary fishing hotel. 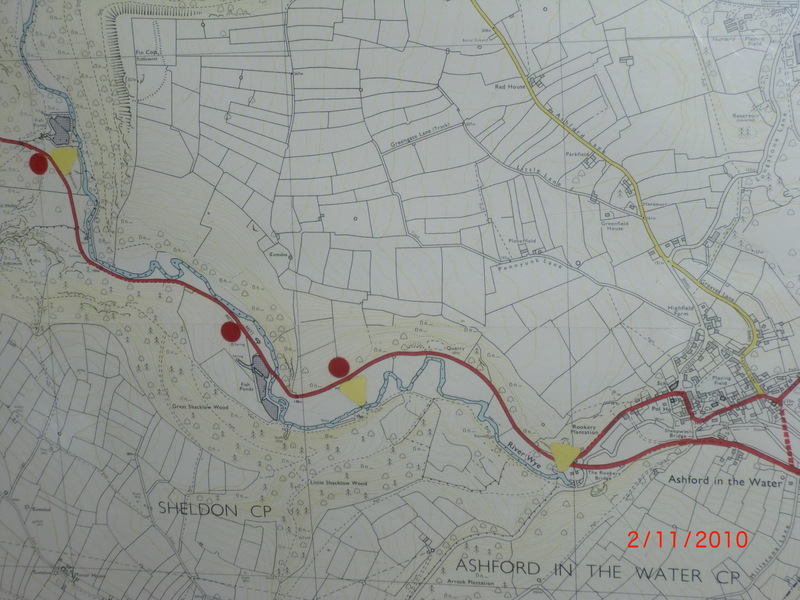 Its rooms are spacious and comfortable; its food is excellent, and it is equal top of my #2’s (see ‘Musings 1’), and it sits on the bank of the Derwent just upstream of its confluence with the Wye. It offers fishing on the Haddon Estate water, but also on the Darley Dale Fly Fishing Club water, below Rowsley, which is where I headed. The visitor beat begins about halfway and extends upstream, so there was so much water to fish! It was drizzling when I arrived at 330pm and the temperature could only have been circa 6C. (well it was May! 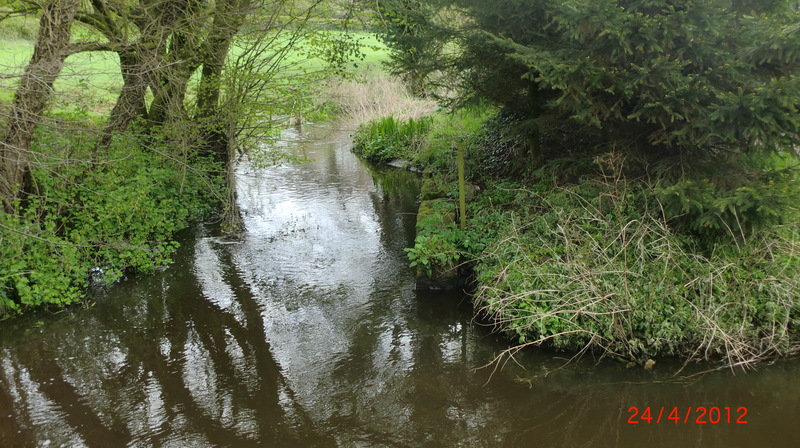 ), but the river was in good order and highly fishable, even if a tad coloured. Weed growth was evident but sparse, and the conditions then did not favour Halford. So over to Skues, and with a PTN on the point and a teal and orange on the dropper I quickly had three fish from the narrowing flow ahead of a fast run just a hundred yards from Tonka Too, and they were so eager to be caught they could only have been in the river for a short while! I walked to where the Wye entered. The sun came out and temperature was notably higher. iii) I went ‘dry’, alternating between CdC, and olive Klinkhamer. 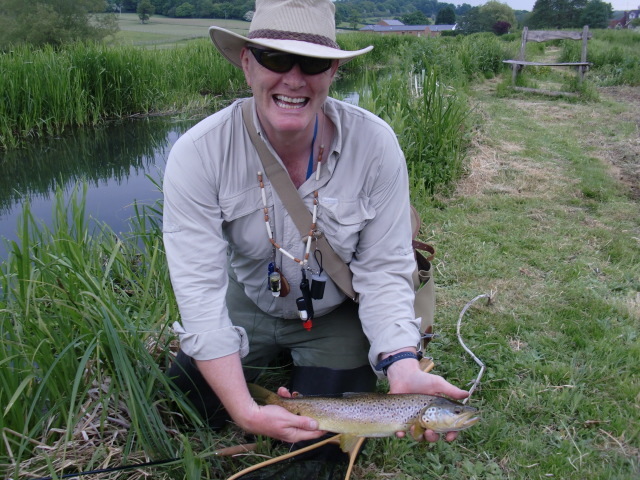 iv) I caught fish….lovely grayling, and wild browns. I caught…I missed….I waded downstream. And in three to four feet of water it was easy over its gravely bottom, and in the warmer weather, I had such a great afternoon that three hours and a dozen or so fish (five wild browns), was enough and completely satisfying. My love affair with Derbyshire is alive and well. And dinner at the Peacock was scrumptious! My business life took me to Initial Services’ owned Latimer Mews Conference Centre, several times in the nineties, and a busy bee, I could only look and lust at the tiny chalk stream within a couple of well struck four-irons at the bottom of the hill. I could never resist stopping next to the road bridge on its approach to look over its walls and wonder. The web reveals so much but not without endeavour. The fishery nearby offered no access; a Google Map search (satellite page) showed Chenies Manor House whose gardens are open to the public, but were not when I emailed them asking whether they knew how I might access the river which was at least adjacent to their property if not a part of it. 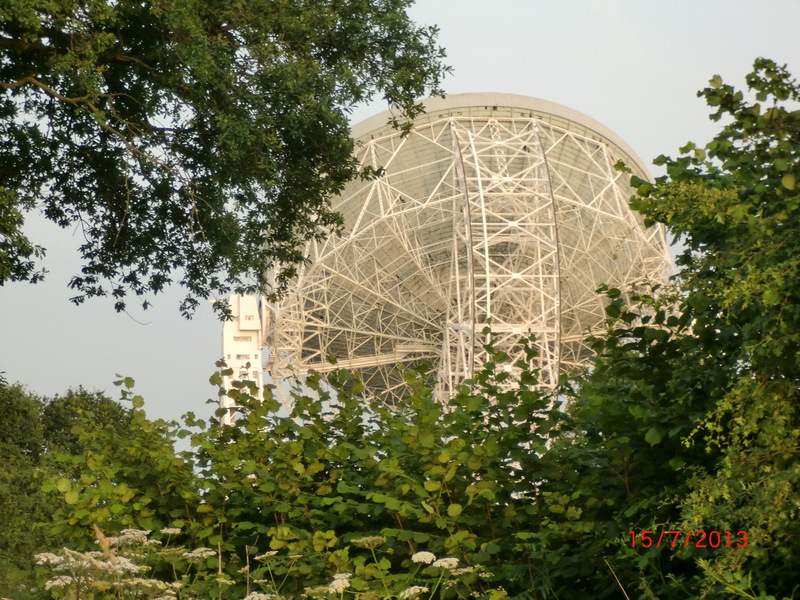 Joy on joy…Susan Brock put me in touch with a certain Paul Jennings who “would help me”, and how !? 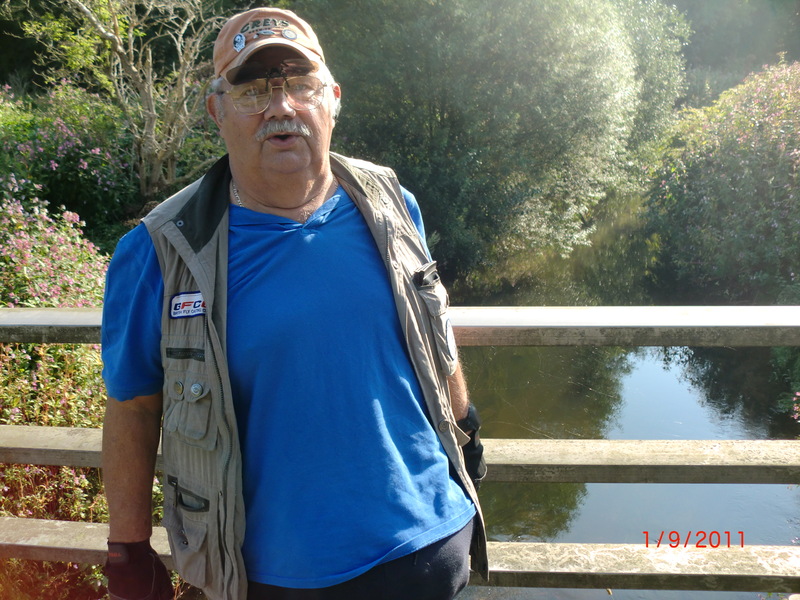 When Paul arrived, he did so at the same time as his chum, Steve Webster, who I now know is one of the three “owners” of one mile of this pristine chalk stream. Steve “guided” me before grandchild-sitting responsibility took him away. In that interim, I must have failed to impress Steve with my casting ability, losing several of his flies…they were, he claimed “infallibles”, but when I did land them on the water they were ignored by every fish I was casting to, and I had to remind myself that fishing is a pastime and not a competitive sport, but this was hard for a competitive animal when I saw William upstream and already into good fish ! But it must have been Steve’s (negative) influence, for when he had to leave for his ‘baby sitting’ duties, and Paul came back downstream for a chat, that things changed. A rise, a cast, and a missed fish, albeit to the ‘infallible’, and then my first fish, and a second…and just above a groin we both saw a fish move. Casting to him was obviously going to be difficult, because the rush of water through the middle of the construction left little chance for a reasonable presentation. But…the ‘fella’ was feeding, and in the short moment before the drag would kill any prospect of a take…he did. WW3 broke out…he went angrily upstream, then turned and rushed downstream through the middle of the angled groin and into flowing water which made the tussle more interesting. But net him we did, and he turned out to be a super fish of 2lb+ and whilst there were several more that evening, to catch a wild fish of that beauty was so memorable, and in such a special river *. Our session finished, as all should, with a canter to the Red Lion in Chenies, and a couple of pints of good ale….and a promise that we would meet again, and probably on the banks of the Wandle. I will make sure that happens. * it is claimed that rainbows breed in only two rivers in Britain….the Derbyshire’ Wye, and the Chess. Some say, it is more. We saw none in the Chess that day! 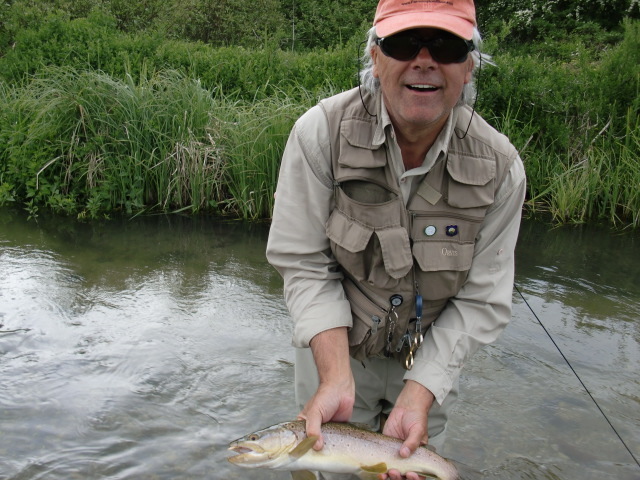 I have corresponded with Paul since, because I established, that he had planned to visit Slovenia, just a week or so before me, and with Kevin Smith, too, so I asked for his thoughts, and tips, to help our attempts to find some marble trout. He is an Oil Man, and in the post BP’ Gulf disaster period, rumours abound about consolidation opportunities on BP’s collapsed share price. Added to that, his own company has a serious stake in a North Sea investment with Premier Oil, another holder, and a new find has propelled their business into territory where his presence as Commercial Director, required that he ‘do some work’. I will let him know how to catch marble trout, in due course!! Paul is, and I repeat, “most generous”. He invited me to fish again before the end of the season. I met an industry pal of his, Philip Fleming, and was able to describe to him what to expect with all the knowledge of one visit! His river in September is a different place, though. In-river weed growth had narrowed the fishable stream to less than 2/3rds what it was in May, and less than half in some runs. Where were the fish? The weather on that day was changeable, and the clouds built and drizzle descended for a short time, and afterwards temperatures fell, and winds increased. The only rising fish were grayling, and we both caught some. The more self respecting browns were keeping to themselves under the expansive trailing fronds, and thinking procreation, probably. Conservationists, Paul and Steve are striving to improve what they respect.